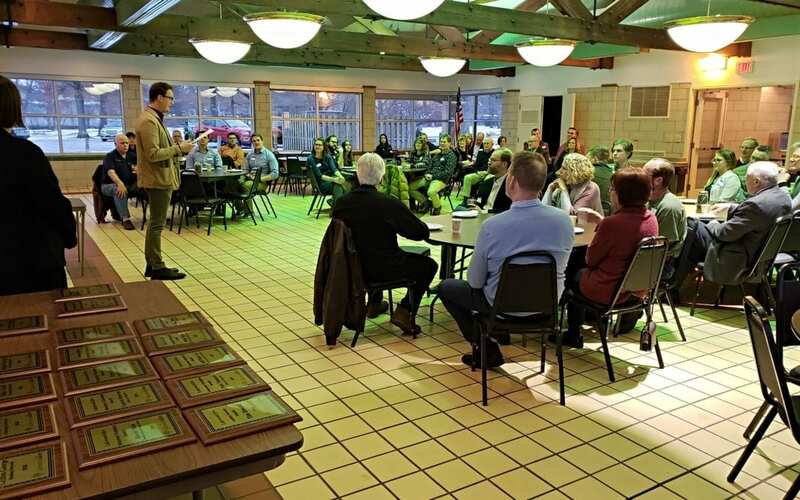 LakewoodAlive hosted its Annual Volunteer Appreciation Breakfast on Friday morning, January 18, in the Women’s Pavilion at Lakewood Park. The event, attended by more than 60 volunteers from throughout the community, featured coffee, waffles and stories of remarkable volunteerism. 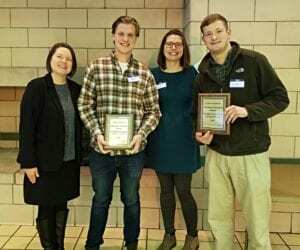 LakewoodAlive recognized the nearly 750 volunteers who, in 2018, contributed their time and talents to supporting the community-centered nonprofit organization and to helping improve quality of life in Lakewood. 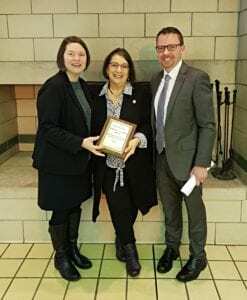 State Senator Nickie Antonio was honored for her longtime contributions to the Spooky Pooch Parade. Volunteer Champions were presented with plaques celebrating their commitment to LakewoodAlive. A special award is bestowed each year to volunteers who demonstrate uniquely exceptional commitment to LakewoodAlive. The Laskey Service Award was named for Tim Laskey, a founding member of LakewoodAlive. This year’s Laskey Service Award recipients are Tim Dewald and Dianne Needles. 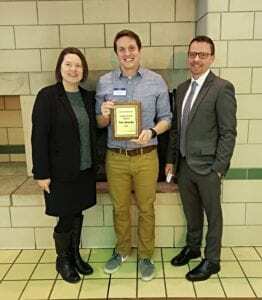 Tim Dewald was one of two recipients of this year’s Laskey Service Award. Tim, a member of the Marketing Committee, serves as a volunteer videographer, devoting countless hours to shooting video at LakewoodAlive’s community events and housing projects. Thanks to his dedication and talent, LakewoodAlive looks forward to unveiling a “brand anthem” video in the coming months. Dianne oversees Onix Outreach, a charitable arm of Onix that strives to provide assistance to the underserved within our community. In this role Dianne has been instrumental in supporting LakewoodAlive’s Housing Outreach Program with everything from furnishing tools to providing volunteers for projects. To learn more about how you can get involved with LakewoodAlive, please visit LakewoodAlive.org/Volunteer.